Increase your productivity by adding extra USB ports to your computer for memory sticks, charging, and other devices. This round. stylish 4-Port USB Hub gives you the extra USB ports you need and also has a built in phone stand. Perfect for charging your phone while keeping it upright and visible. 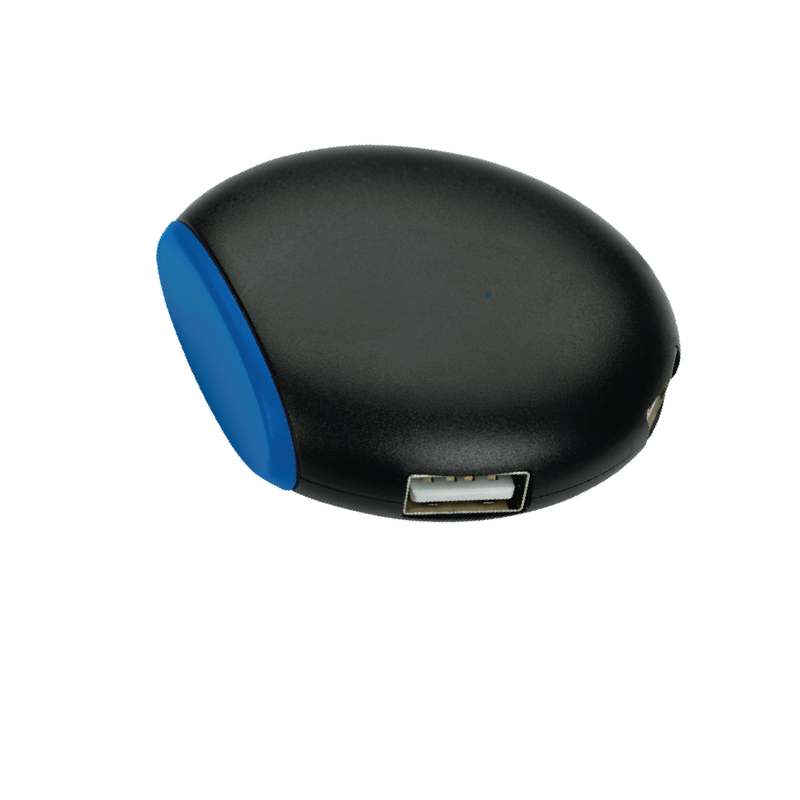 Provides additional four USB Ports to any Mac®, PC, or laptop. Built in phone stand perfect for keeping your device upright and visible. Long USB connection cord for easy placement. Phone stand retracts into the USB Hub with USB 2.0. Imprint Area: 3" x 4"